If My Student Loans Are in Default, Can My Husband's Income Tax Be Taken Also? Whether a lending institution can take your state and federal tax refunds for your defaulted student loans depends on the tax filing filing status you and your husband select. Which tax refunds are subject to a tax refund intercept also depends on whether your defaulted student loans are from the federal government or from a private lender. If you and your husband file your taxes as married filing single, only your income tax refund is subject to an intercept or garnishment. If you have defaulted federal student loans from the U.S. Department of Education, the department may take both your state and federal income tax refunds. If you have a student loan from a private lender such as a bank or credit union, the bank or credit union may only take your state tax refund. If you and your husband file your taxes as married filing jointly, your entire joint tax refund is subject to intercept or garnishment even if the student loans belong solely to you. However, your husband may file IRS Form 8379 -- Injured Spouse Allocation -- to receive his portion of your joint income tax refund. Your portion of the income tax refund will go toward paying your defaulted student loan debt. Your husband can also file an Injured Spouse Allocation form to receive his portion of your joint state tax refund. Contact you state income taxing agency to find more information on your state’s specific injured spouse forms. The IRS and your state income taxing agency will calculate the portion of income taxes you paid and the portion of income taxes your husband paid based on your individual incomes. They will apply all credits and deductions accordingly. For example, if your combined income is $100,000 per year and you and your husband each earned $50,000, then you are each entitled to 50 percent of your applicable tax credits. Once the taxing agency recalculates your income tax refund, your husband will receive the refund allocated to him and yours will go toward paying your student loan debt. Who Gets the Child Credit When Filing an Injured Spouse for Taxes? Can the IRS Garnish My Wages & Still Take My Income Tax Refund? Can the State Intercept My Missouri State Refund for a Debt My Spouse Owes? Can They Garnish My Federal Income Taxes for Child Support? 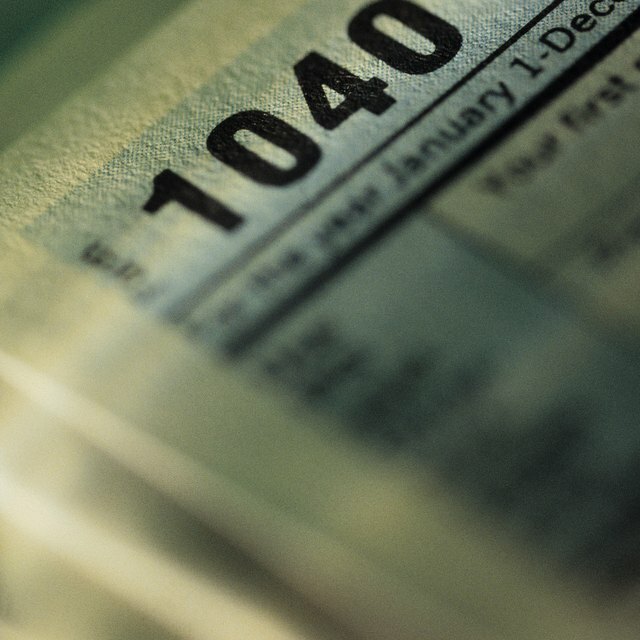 Can the IRS Take My Federal Income Tax Refund Check? The U.S. Department of Education has programs in place to help individuals bring their student loan out of default status to avoid income tax refund intercepts and wage garnishments. Even if your student loan is already in default, contact the U.S. Department of Education to explore your options. If you believe you have a private student loan because it is serviced by a bank, contact the bank that services your loan. The majority of student loans serviced by private banks are actually federal loans the bank services on behalf of the U.S. Department of Education.